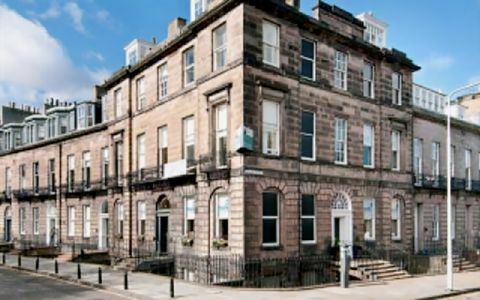 We can provide clients with a choice of exceptionally well-presented serviced offices, situated in the heart of Edinburgh's prestigious West End. The Edinburgh serviced offices offer a spacious and flexible accommodation over three principal floors with the additional benefit of a private outside patio. The Edinburgh serviced offices have been sympathetically modernised whilst retaining a number of fine period features including elegant ceiling cornice work, the stone stair, sash and case windows, fire places and wood paneling.The bathrooms and kitchen are beautifully fitted and of a contemporary style. Our Edinburgh serviced offices are placed in the heart of Edinburgh's west end close to all local amenities and transport links.